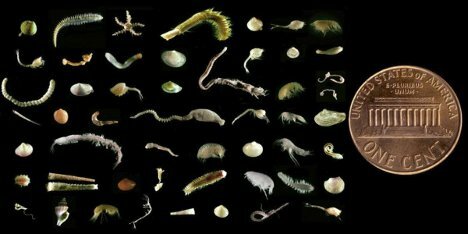 One fistful of mud from the sea floor has more life in it than a whole square meter of rain forest, according to a survey of the distribution of seafloor life. The study was conducted by Craig McClain, a biologist at the National Evolutionary Synthesis Center, and his colleagues. The above photograph catalogs the astonishing variety of life found in a scoop of mud just two inches deep and five inches across. Although we may think of the deep sea floor as a vast and barren wasteland thanks to the lack of sunlight, it is surprisingly rich thanks to something called marine snow. 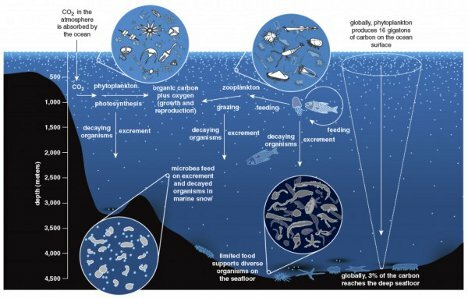 This trickle of life-supporting material falling from the more productive levels of the ocean well above the seafloor help contribute to the incredible biodiversity found in the study. See more in Earth & Nature or under Science. January, 2012.